Mom, the Intern: We must discuss this. It's urgent. We must discuss this. It's urgent. For the past few months, my internal dialogue has taken on a British accent, thanks to the fabulous show that is Downton Abbey. If you've never seen it, I'm sorry. You are really missing out. If you've never heard of it -- well, we simply can't be friends. So go ahead and click on this link and then come back. Oh good! We can be friends again. Maybe even have tea and crumpets together. Play a little bridge. Stroll through the gardens. 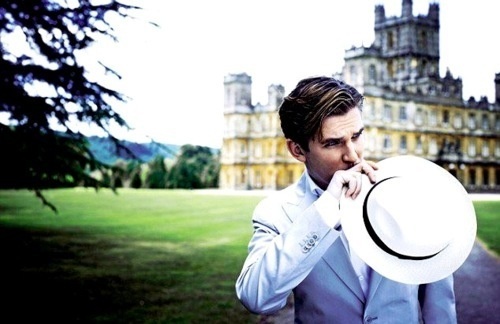 Anyway, I looooooove Downton Abbey. And I really don't want to spoil it for anyone who hasn't seen it because there are a whole slew of crazy plot twists and enough drama that you may never need to visit Facebook again. So much great fashion. The puffy ball hat is my fave. 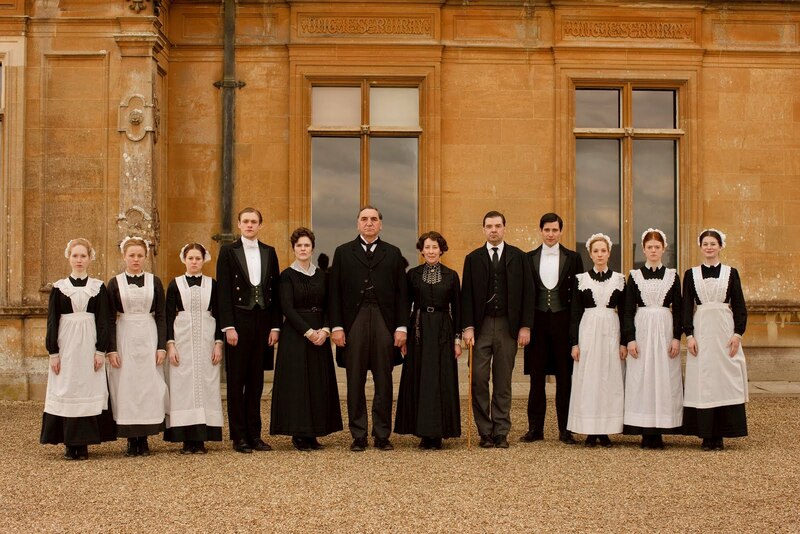 Also, Lady Mary's striped dress (dead center). These two will frustrate you to no end but it will be worth it, I promise. The youngest Crawley daughter, Sybil, is the prettiest in my opinion. She reminds me so much of my own Granny, saying whatever the heck is on her mind and not givin' a hoot about it. By the way, I'm feeling pretty ahead of the trend since my son's name is Carson, just like the Crawleys' most loyal and dignified butler. You just wait -- that name will surely skyrocket in popularity. And of course, how can we leave out sweet Anna and her Mr. Bates? Finally, this gem that I can't quite get over. Okay, I have never seen the show but have heard so much about it. 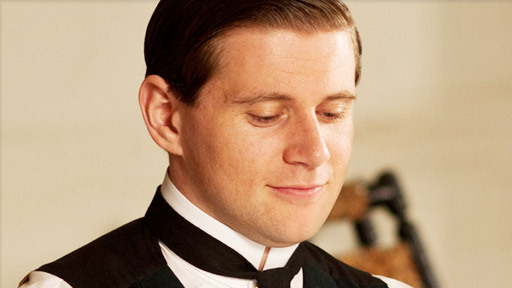 OK, you have to ask me about Scott and Downton Abbey next time we see each other...so funny!! 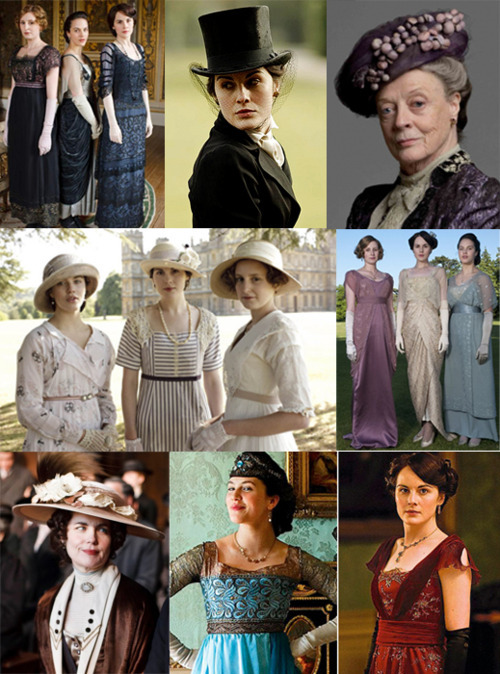 Downton Abbey is my favorite show of all time! I seriously love it and cannot wait for season 3. Have you seen Downton Arby's? Hilarious. This is by far my favorite show. Matthew is absolutely beautiful and Sybil is the prettiest although Mary is gorgeous too. Mr. Bates is the sweetest, kindest human being. And Lady Grantham is hilarious! 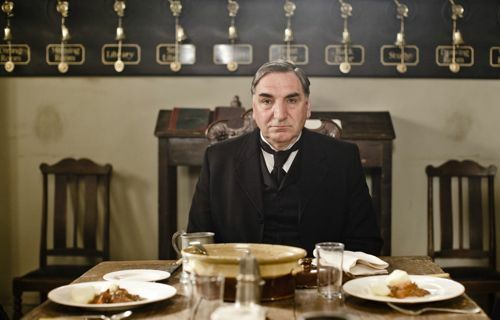 Oh Downton Abbey, how will we ever wait until JANUARY for the next season?!?! Soooo glad you've joined the dark side. Or rather, the dawk side. 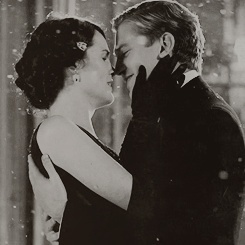 Love Downton Abbey, I miss the Sunday night Date my husband and I had every week this winter. Oh yes, he may be more into than I am. He even tried to get our kids to eat dinner like the Crawleys! Epic Fail BTW! Oh and love the Conan picture. I was literally LOL! Oh dear, Matthew is scrumptious... You have seen him as Edward Ferrars in the BBC Sense & Sensibility right? It's my fave version!!! I lI've this show. I found it a few mOnths ago and watched it all in a couple days. I can't wait for the next season. I'm so glad they finally got together. this did the trick while i wait for the second season to arrive. and girl, you had me laughing about obrien...oh that weasle! Best show ever!! I can't wait for season 3. I just wanted you to know I nominated you for the versatile blogger award. I feel an extreme urgency to watch it now. How do I get my hands on the first season? I FINALLY got to read this post. I have to say, love this show. Katie...the 1st season is available right now on Netflix. From what I hear the second season should be available around September. I'm dying for it. Oh...and FYI. 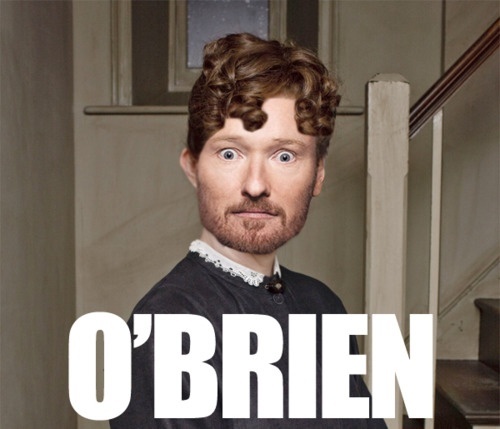 I laughed out loud at the O'Brien. Fantastic. My went to visit my sister in seattle and my sweet daughter infected the house with pink eye. Thankfully we had netflix to save us. 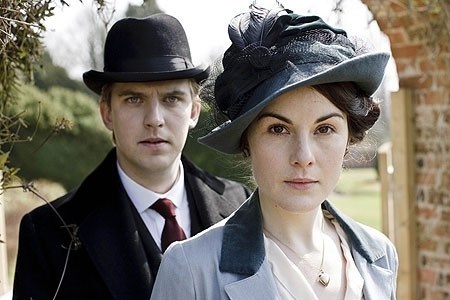 We watched all of Downton Abbey episodes available and liked it. That is, until we stumbled onto the Korean Dramas. The Abbey just couldn't compare to the awesomeness. The intrigue! The twists! The romances! And clean enough to let your grandma watch :) Watch "You are Beautiful" or "Lie to M" (not the detective show. Look for Asians on the cover. It isn't Britain, but the fashion will put you into giggles instead of wistful coveting.